Another great Forever 21 find. 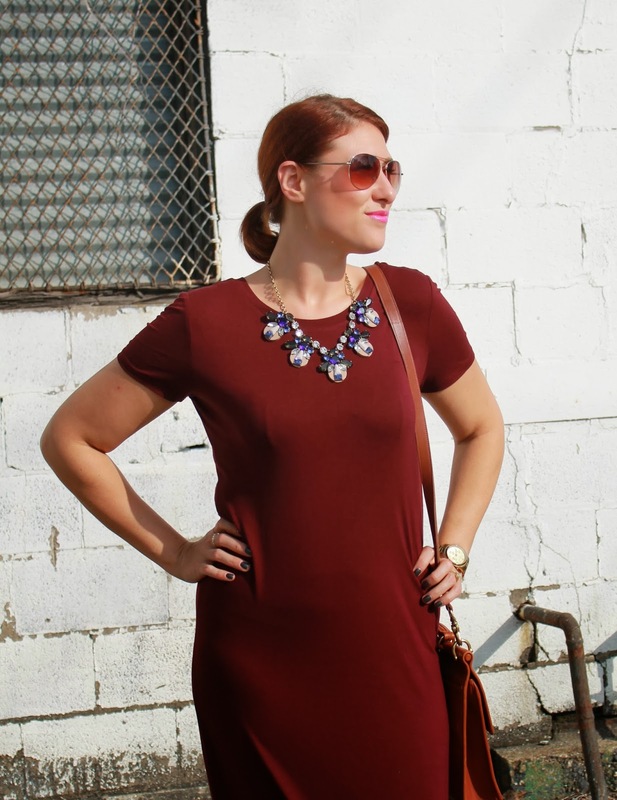 This oxblood maxi dress was but $16! It was perfect for one of those pre-school-day meeting days when I had to get up at a disgustingly early hour and was not awake enough to come up with a clever outfit. One-piece dress, add some sparkles and that hot pink lip I love so much and there you have it, an easy early morning outfit! P.S. : Tomorrow is my birthday, and my husband and I will be on an anniversary/birthday trip out to Utah (keep up with me on Instagram) where he will be running a half marathon! I will be taking the day off of blogging with the excuse of traveling, as well as taking a moment of recognition of just how old I really am! Sadness. Lips: Smash Box "Fuchsia Flash"